JP: Lovely. Would have been nice with cheese. JS: Traditional, a bit ‘lardy’ and underseasoned. SE: Sharp, like the font. JLW: Delicious, savoury biscuit, not bland. JLW: Good texture for dips or with cheese. 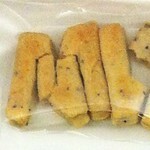 SS: Crumbly, a bit like a plain version of a cheese straw. JP: Only one letter survived unbroken so hard to tell. Letterforms good though. Slightly ‘puffed up’, making Helvetica seem more friendly. JLW: A bit ‘decon’ after a journey by mail. JP: Perfect. Helvetica is too serious to be sweet. JS: Practical and safe with no surprises. 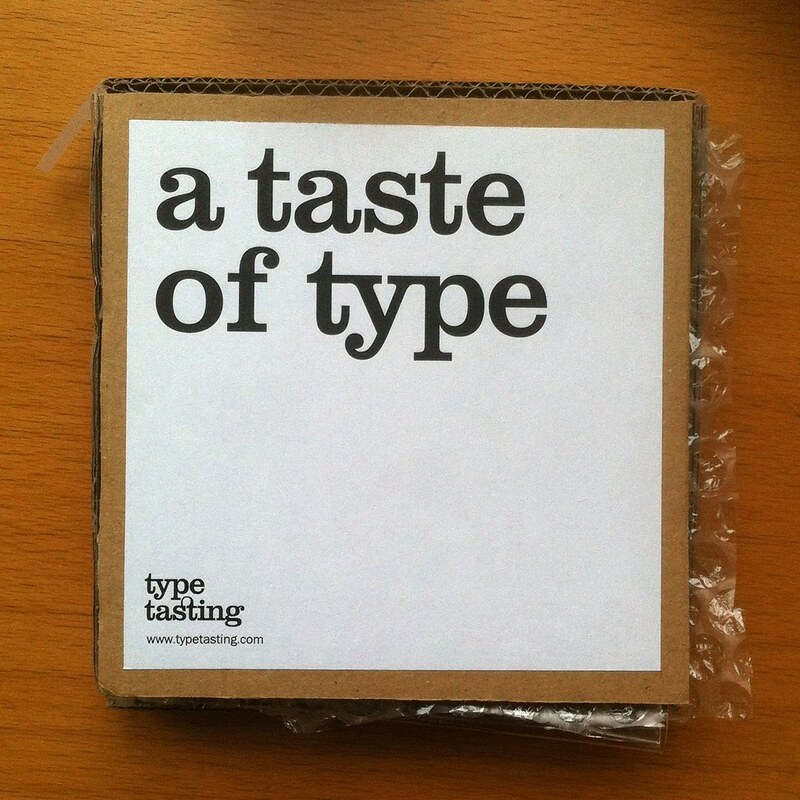 JLW: Tastes more like Akzidenz Grotesk. SS: Very suitable but not so enjoyable. JS: Very sweet, annoying chewy bits, ersatz. SE: Sweet with undertones of guilty pleasure. 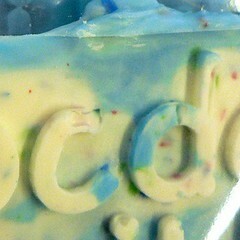 SS: Sweet and brightly coloured with blue and red. JLW: Gritty yet cloying – had to rinse my mouth out. SS: Smooth and creamy with popping bursts of Fizz Wiz. JP: Perfect. Comic Sans should be sweet and sickly with sprinkles and pops and bangs. JLW: Comic Sans deserves better. SS: There is nothing hateful about eating Comic Sans, however the popping sensation was comic-al. JP: My favourite, very swish, I enjoyed the ‘kick’. 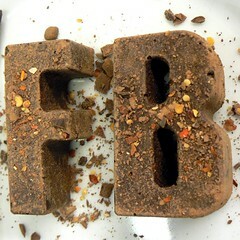 JS: Full, chocolate flavour with chilli afterburn. SE: A perfect combination of bitter and sweet. JLW: Delicious. Chilli gives it a kick. SS: The richness of the dark chocolate and the spicy hit of the chilli makes an impression on the tastebuds. JP: Great, top with chocolate. JLW: More-ish – would have appreciated a few more letters. SS: Firm with crisp, dried chilli flakes throughout. JP: Great, Impact should be dark with a kick. JS: Good name for a dramatic flavour. SE: Delivers a powerful condensed aftertaste. JLW: Like a Central American letterpress poster. Loud. SS: Quite Mexican, but the typeface has little relationship to the country. Good in small quantities. 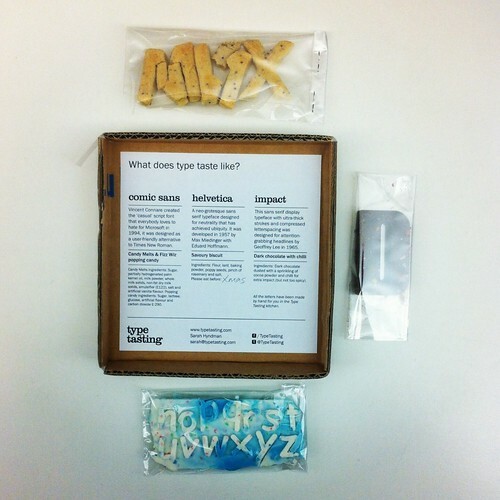 Type tasting kit at the Eye offices in Hoxton Square.